Chef Tobin will be serving exclusively in the VIP Weekender section at The Main Event. Executive Sous Chef Tobin Osburn discovered his culinary passion in a very unusual way. 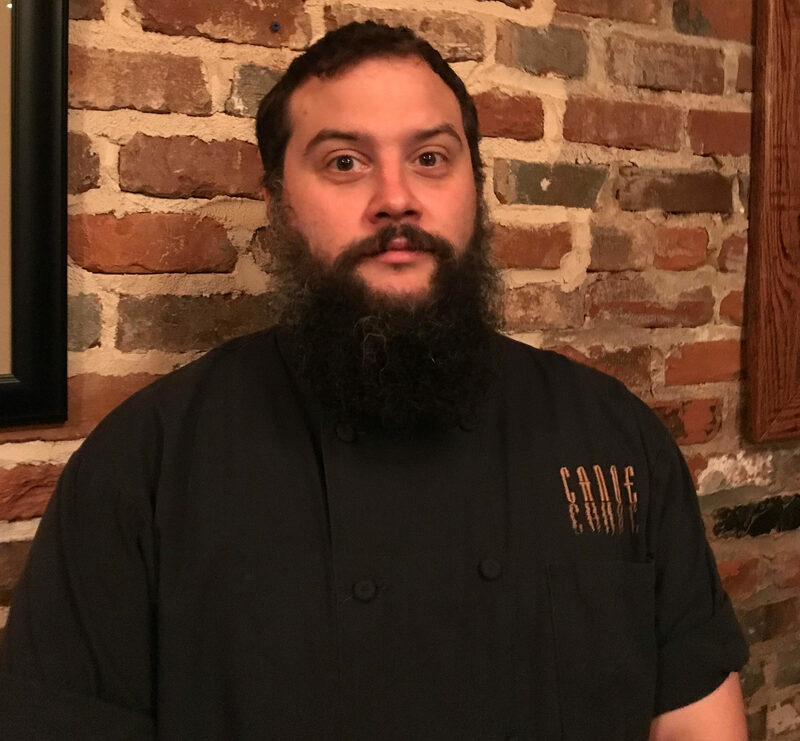 Chef Osburn, a native of South Carolina, graduated from Sewanee, The University of the South, with a degree in Biology, intent on going to med school. However after graduating in 2002, he had a sudden change of heart and unsure what to do, escaped to the Minnesota wilderness to be a field and stream guide. There, he spent four years as a fishing guide in the spring and a dog sledding guide in the winter. During his time in Minnesota, Chef Osburn started working at a local restaurant and fell in love with the culinary world. Chef Osburn moved to Atlanta in 2006 to attend Le Cordon Bleu Culinary School. After graduating, Chef Osburn explored the Atlanta restaurant scene before joining the Canoe team in 2008. Nowadays, Chef Osburn is Executive Chef Matthew Basford’s right hand man and has truly found a home at Canoe. Chef Osburn brings his creative touch to Canoe through the daily specials and is skilled in crafting simple plates with full flavors. Chef Osburn always brings the “wow factor” to every dish he creates with his bold flavors and skilled technique. Chef Osburn has the best view in the city, gazing out on the gardens and the Chattahoochee River as he works the line. In his free time, Chef Osburn enjoys spending time with his wife Lauren, whom he met at Canoe, and their two dogs. He also has a knack for crafting artisan, farmhouse style cheeses and brewing his own beer.